Replacing existing lights with LED reduces energy costs because LED lights use a fraction of the energy. Because LED lights can be arranged in any configuration they deliver maximum lighting for any need. The longer lifespan factors into reduced overall cost as well. 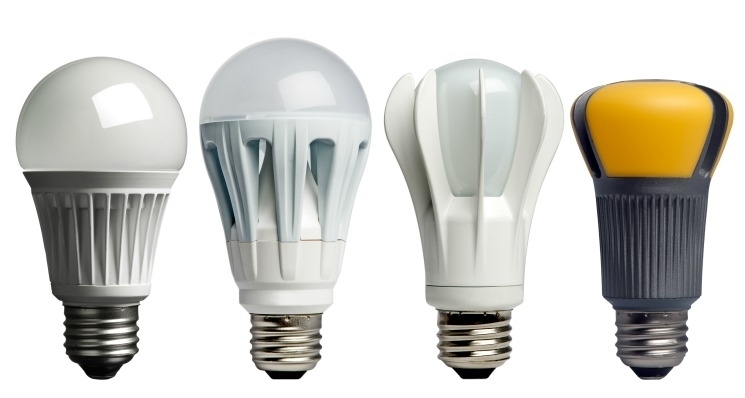 LED bulbs come in a variety of common shapes and watt/lumens conversions for every day uses. Bulbs that screw into normal light fixtures such as lamps and overhead lighting can be replaced with LED bulbs. Specialty uses such as appliance bulbs have their LED equivalents. Even waterproof LED floodlight bulbs can replace traditional bulbs for lighting driveways, front porches, decks, patios and backyards. Using LED bulbs in reading lamps, or desk lighting in the home office improves the visibility of the task. Under the cabinet kitchen lighting is gaining ground for improving visibility during meal preparation. There are many benefits of using LED lights in the workplace. For one, LED lights can be arranged in countless ways using new, existing, or retrofitted fixtures. Improved lighting can promote productivity and increase safety. A study by the Harvard School of Medicine is showing that workers exposed to LED blue-enriched white light have improved alertness, positive mood and performance, better concentration and less evening fatigue. Given that most workers spend more than half of waking hours on the job, it’s easy to understand why workplace lighting is important. Commonly used metal-halide street lights and other public space lighting are being replaced by LED lighting. Local governments are finding that the energy and cost-savings are a wiser use of the community tax dollar. The LED lighting is brighter, shining light over larger spaces than traditional public space lighting and this makes LED a better public safety choice. Communities that are switching to LED for streets, parking lots, parks and other outdoor public spaces are realizing both major savings in energy costs and reduction in potential crime. For public areas such as sports fields, schools and community parks are finding the reduction in light pollution creates happier neighborhoods. Electricraft and the company’s San Luis Obispo electricians can spend all the time needed to evaluate your lighting needs for home, business or public projects and provide the most effective and cost-saving ways for converting to LED lighting. Electricraft has been meeting the Central Coast community’s electrical and solar needs since 1984, providing highly trained electricians for every residential, commercial, public and solar need. Contact Electricraft today for your electrical or solar needs.